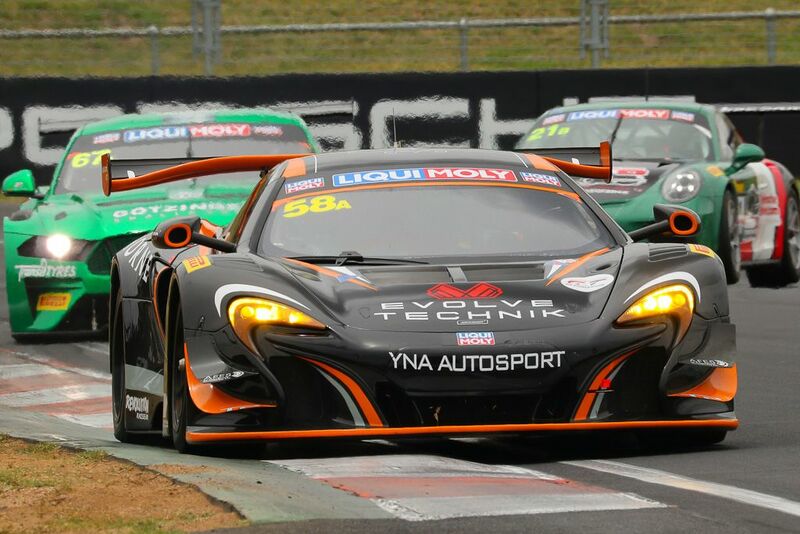 Having run a Porsche for David Calvert-Jones (CJ) a McLaren for Tony Walls in the past, this year we were adding two YNA Autosport McLarens to the lineup for a total of four A Class cars. Preparations started late last year so everything was well underway but the team still had a lot of work to do in a short space of time with some cars only arriving in December. With an average crew of 12 people per car and 15 drivers, we had over 60 Barrys to organise, fly, accommodate, feed and dress... Just another day in the life of the resourceful folks at McElrea Racing! 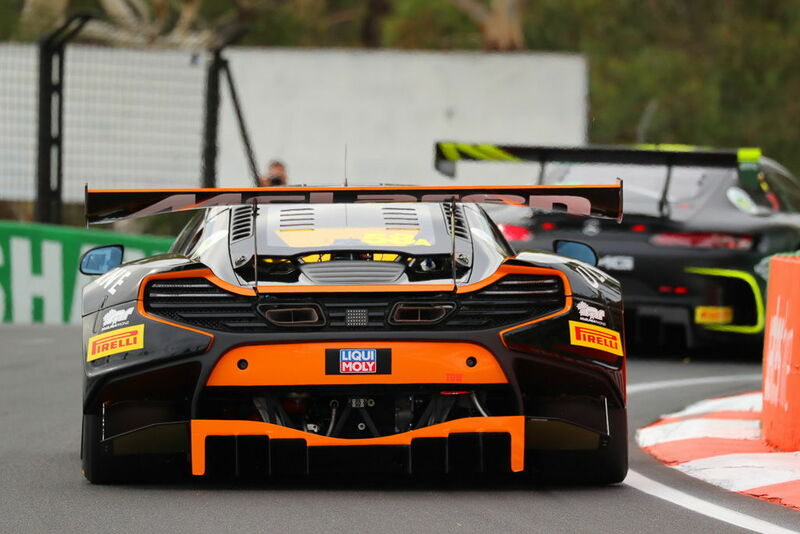 Bruce the Objective McLaren was quick in practice as the drivers including 12 Hour rookie Jaxon, cycled through the car. 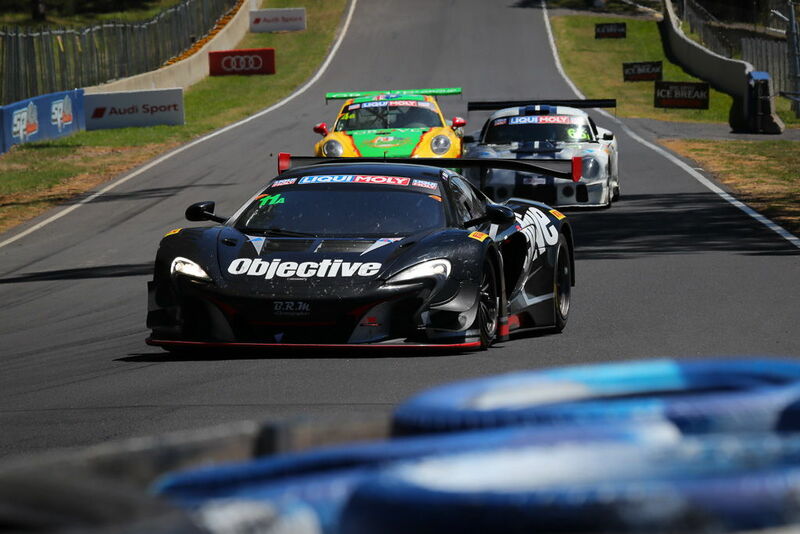 Unfortunately, their seat time was restricted by a persistent fuel pick-up problem which cost car #11 a certain Top 10 shoot-out start and they started the race from 24th. Luffy started the race then handed over to Tim. Wallsy did a fantastic stint late in the morning and got the car up to 12th outright and 3rd in Pro-Am before handing over to Jaxon. 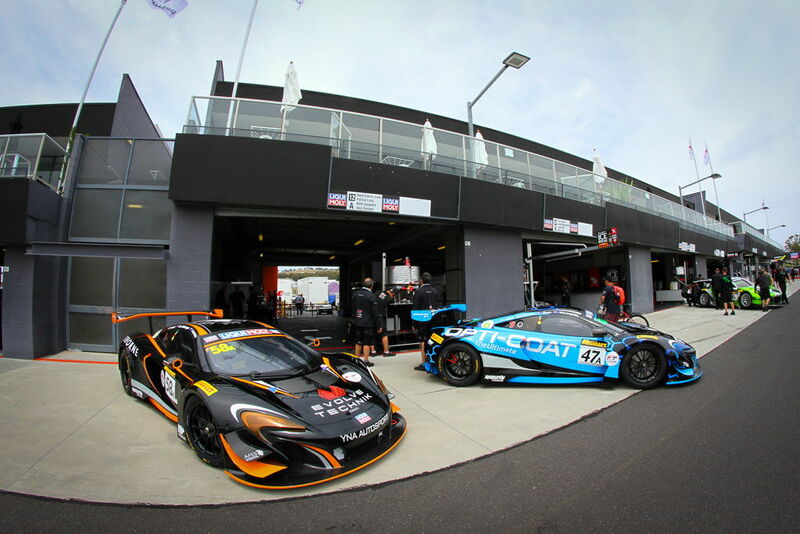 The boys steadily made their way towards the front throughout the day and despite the ebbs and flows in relation to other cars strategies were heading for a certain podium finish in Pro-Am when the 13-hour old starter motor failed at the last pit stop. 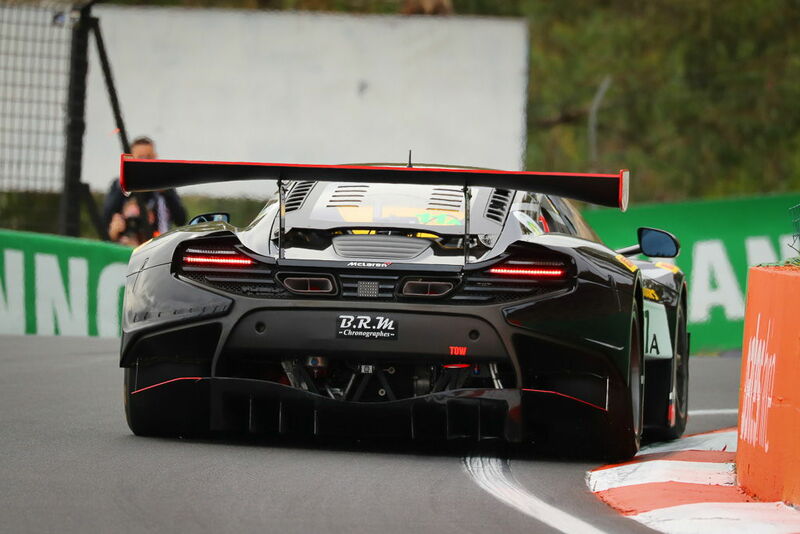 The rules state the car must start under its own power and it would have taken longer to change it than the time remaining in the race, so car #11 was regrettably withdrawn from the race. 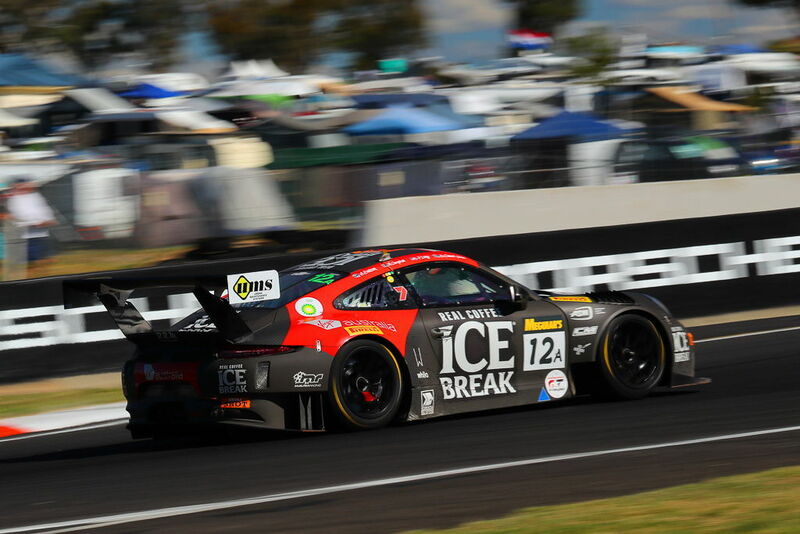 As usual, the Ice Break Porsche didn’t put a foot wrong all weekend and made it into the Top 10 shoot-out after a wild lap from Matt Campbell and started the race from 10th. 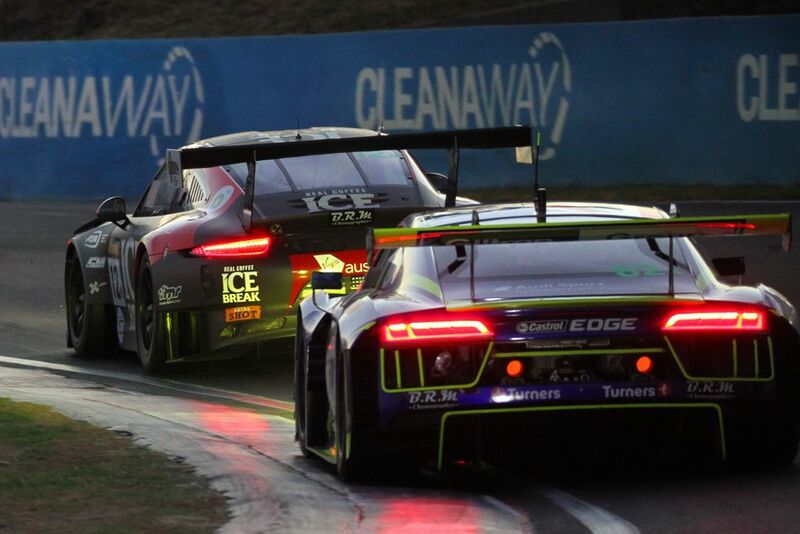 Alex started the race and handed over to CJ after one stint. 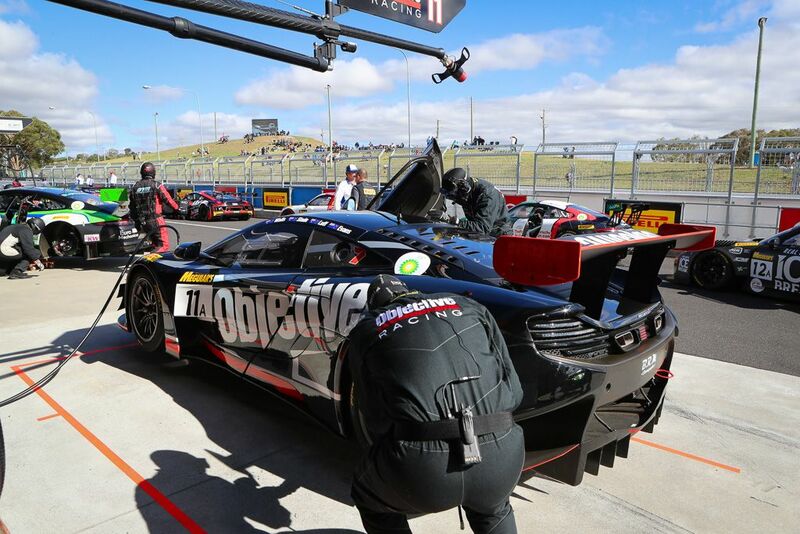 The team was keen to check the tyre condition after some near failures in practice. 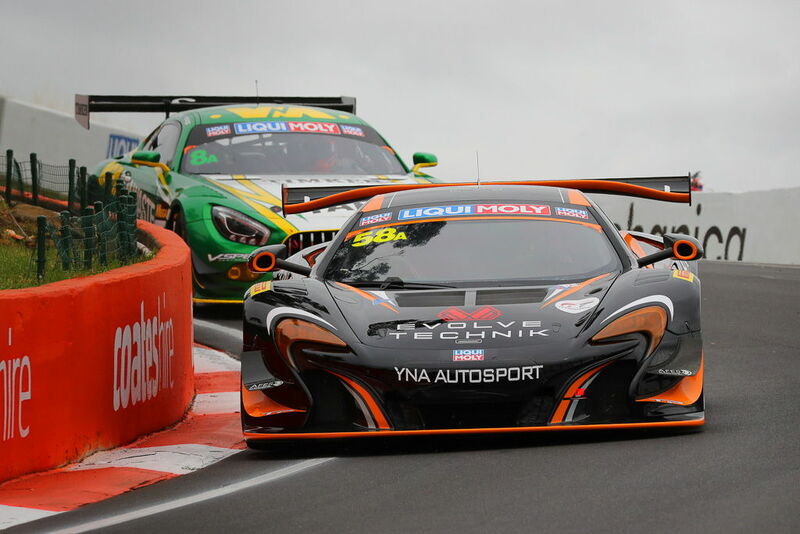 CJ did two stints which were punctuated by many safety car periods before handing over to Pat. Matt did a stint in the early afternoon then Alex 7 Pat cycled through the car again before handing over to Matt for the final stint. 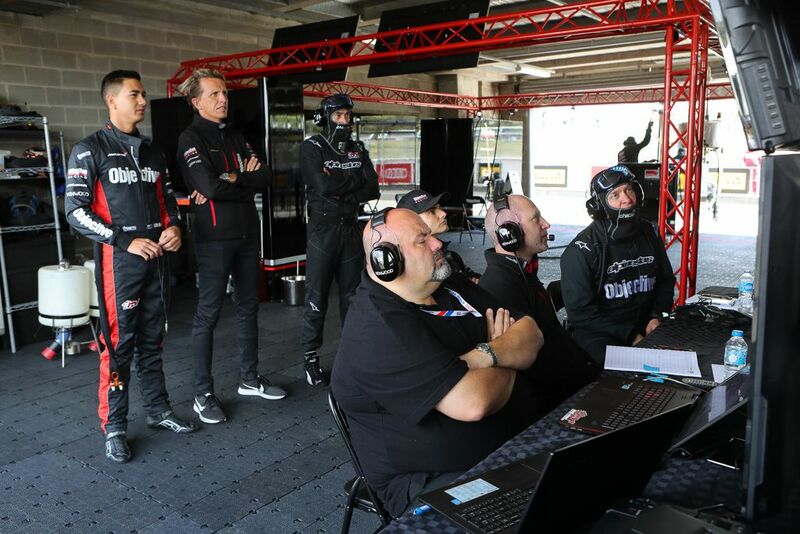 Stefan and Andrew calculating strategy and critically, fuel usage, timed the final pit stop to perfection and Matt had just enough fuel to make it to the finish, even if the race ran without any more safety car interventions. Matt was running 4th when there was the race-stopping accident at the top of the mountain bringing out the red flag and cancellation of the race. We are confident the three cars ahead would have needed a final fuel stop, which would have given car 12 the outright win. But that’s racing! 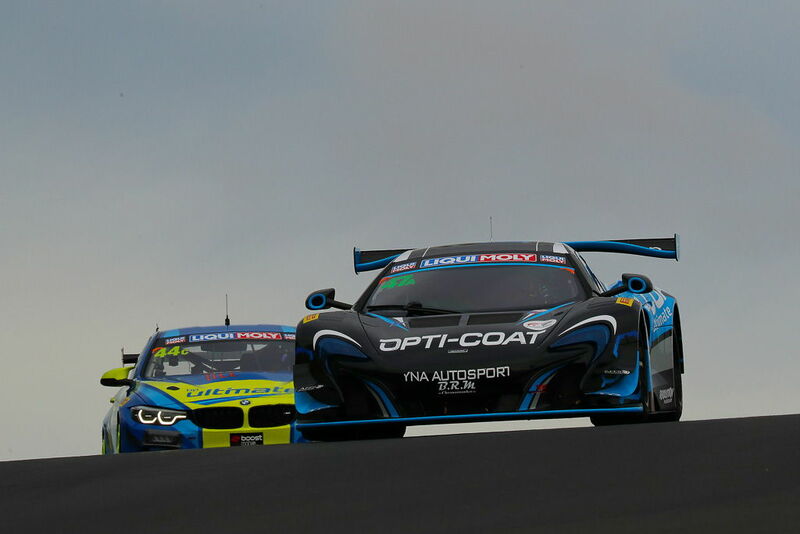 Scott McLaughlin qualified the car earning a place in the Top 10 shoot-out landing in 5th spot. 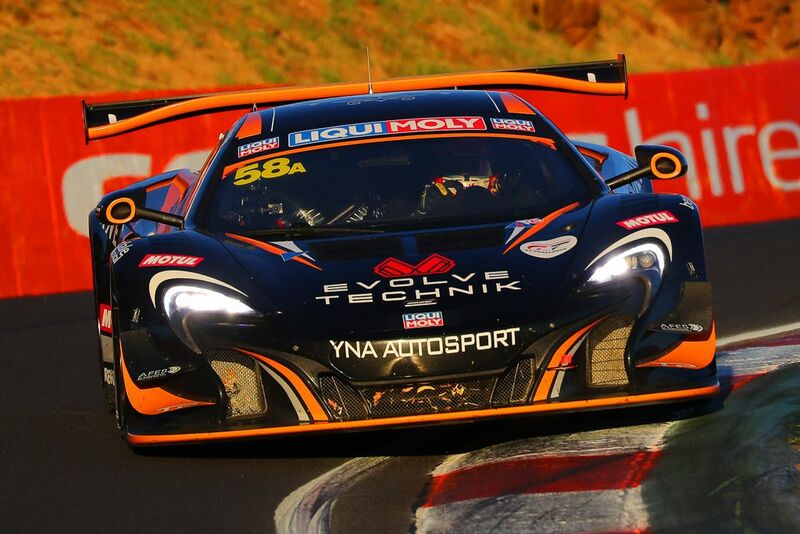 Andrew Watson started the race and did a very solid job keeping pace with works driver Come Ledogar in the sister car. 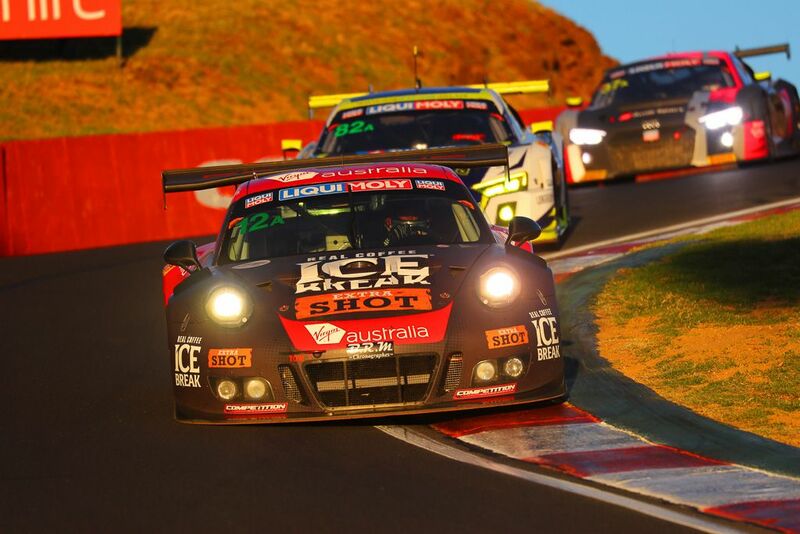 He handed over to gentleman-driver Alex West which resulted in two separate incidents involving radio and pit board confusion leading to two unannounced pit stops and dropping two laps behind the leaders. Scott McLaughlin took over and did a great job to avoid going three laps down before handing the car to Fraser who also did a terrific job. If not for a very slow tail ender holding car 47 way behind the safety car Watson would have recovered one of the lost laps. 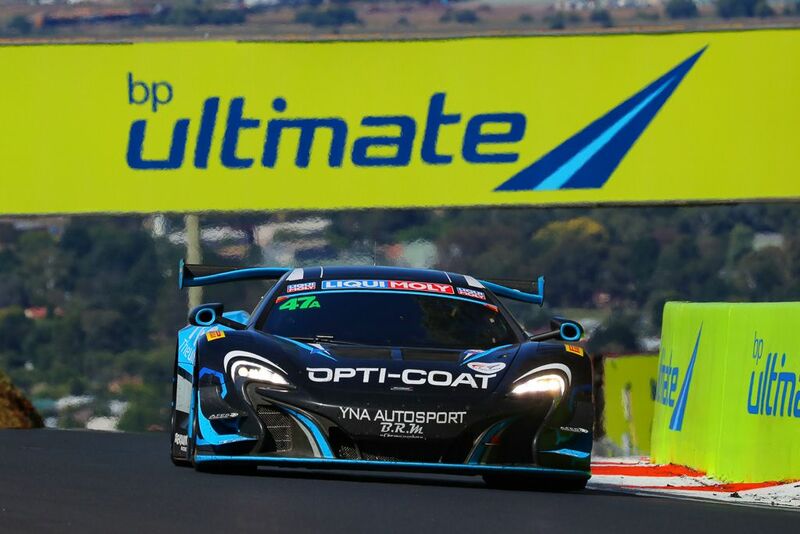 Scott McLaughlin did the last two stints and was consistently the fastest car on the mountain for the last two hours of the race, but was unable to make up the ground lost early in the day. 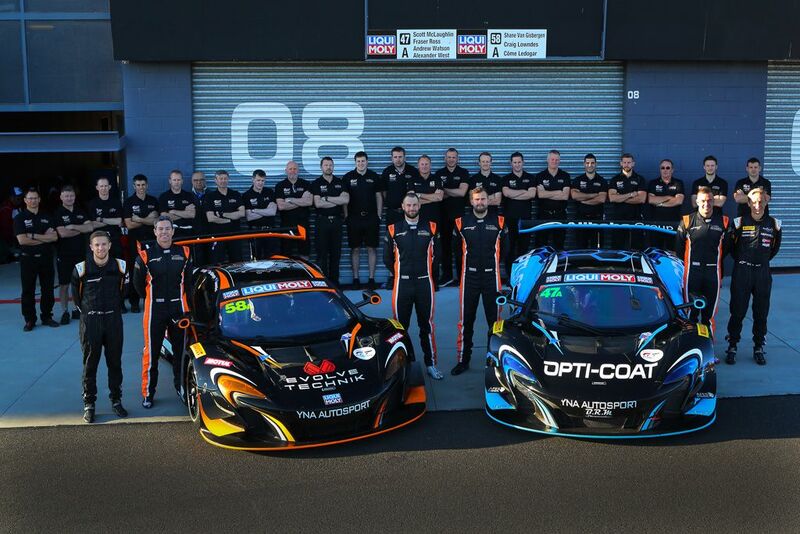 The Ulithorne McLaren was supported by T8 Supercars superstar Roland Dane, strategist John McGregor and seven members of the factory McLaren GT team from the UK including boss-man Andrew Kirkaldy. SVG qualified the car 8th. 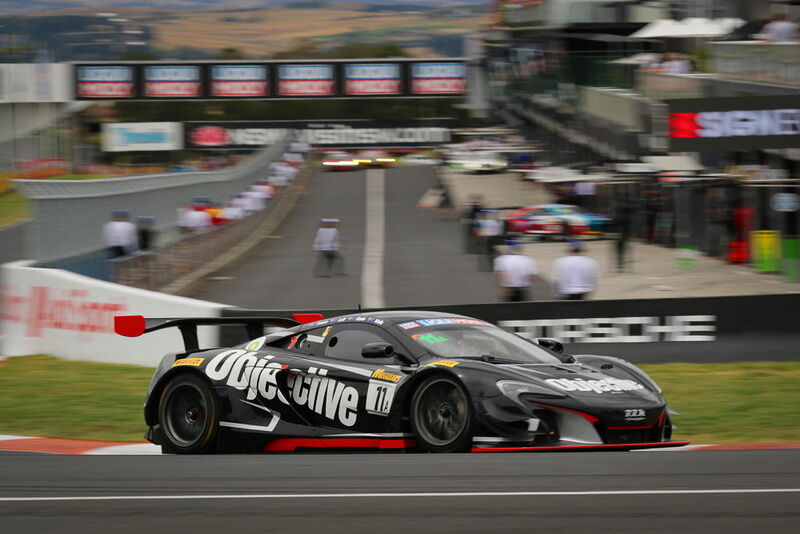 Come Ledogar started in car 47 and did a very strong double stint before handing over to Craig Lowndes. 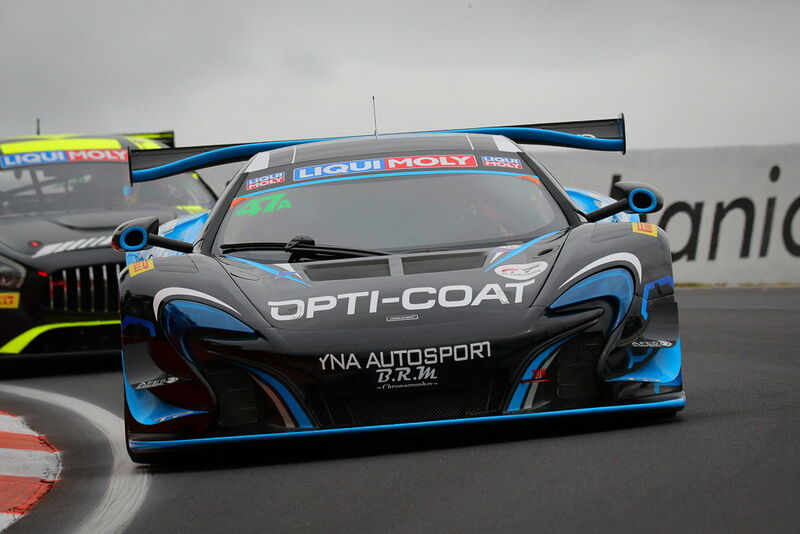 Towards the end of Lowndsey’s stint car 47 succumbed to overheating issues which lead to over an hour in the pits with the factory McLaren GT team doing their best to diagnose the issue. 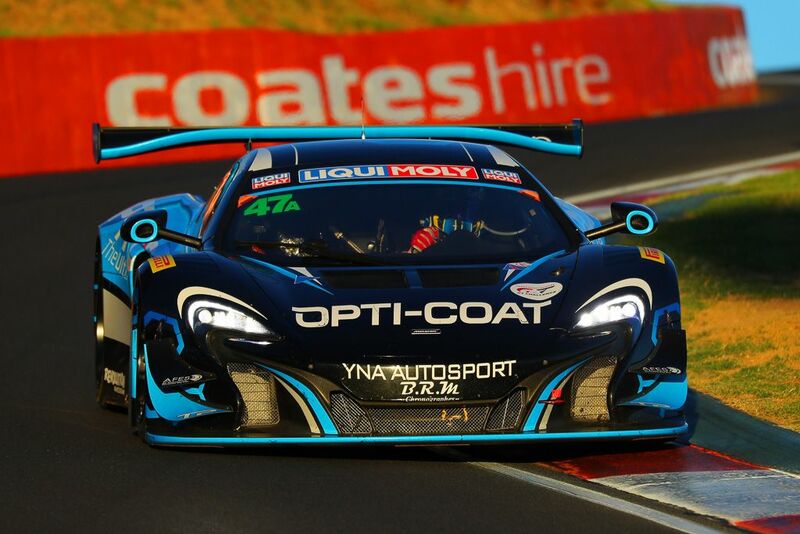 After cooling the engine down, topping up the water and other tests, we sent Shane van Gisbergen out for a stint, to at least give the sponsors some exposure. 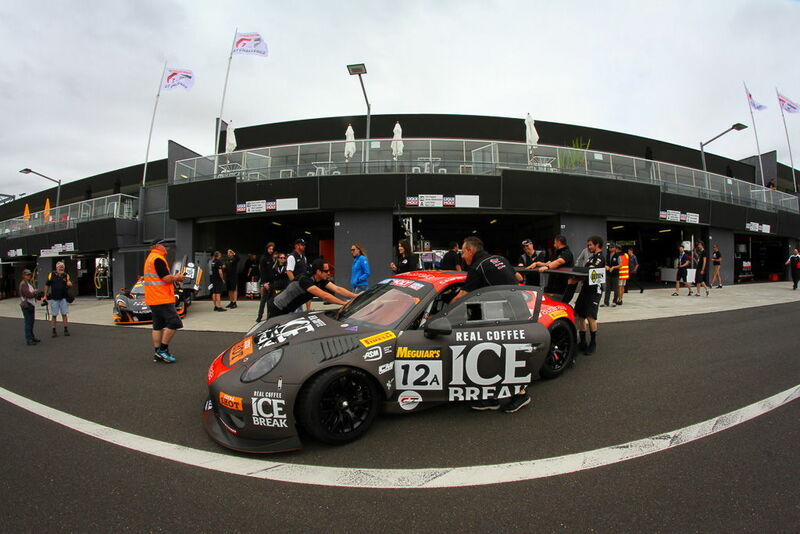 After another hour on track, the engine temps started to rise so the team withdrew the car. Needless to say, it was a mammoth effort to field four competitive A Class cars and hundreds of hours of work for the McElrea Racing team. 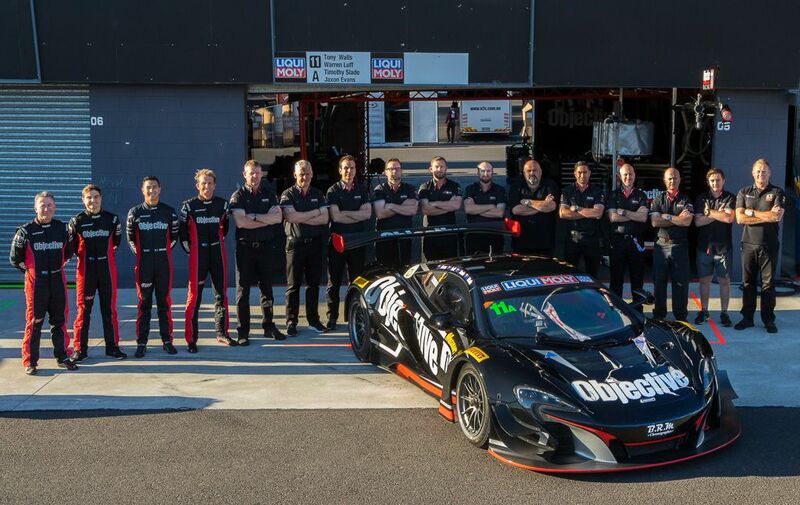 We are extremely proud of the crew we assembled for this year’s race and each and every one of them worked their backsides off, often working 15-20 hour days to prep the cars and practice pit stops, refuelling, driver changes and generally keep everything running smoothly. Congratulations to CJ, Pat, Alex and Matt on their second consecutive Pro-Am podium. 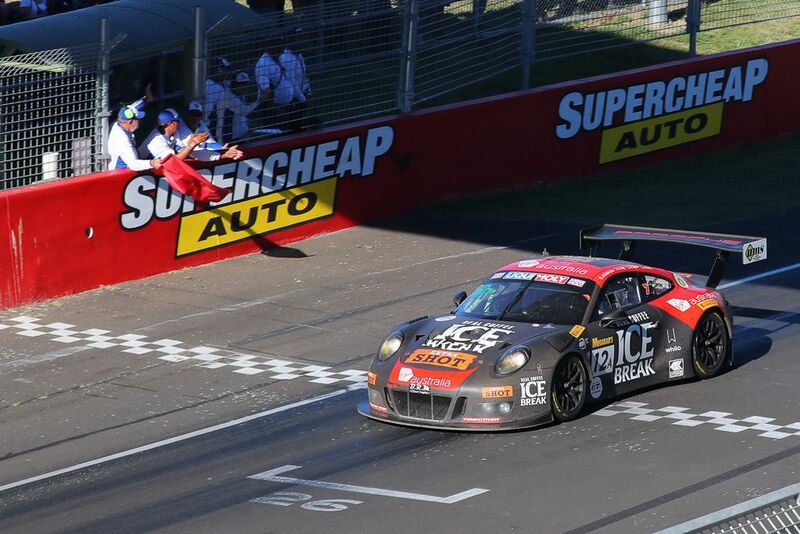 And obviously commiserations to Wallsy for getting so close to a podium and the YNA cars for their bad luck. After the race, a report was produced showing 6 of our drivers in the top 11 Pro-Am fastest 30 laps, which shows our cars had the pace! 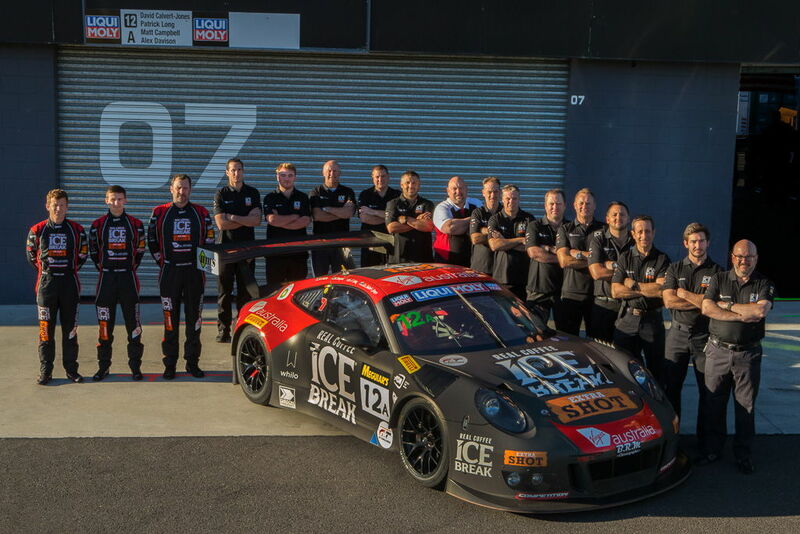 Thanks to the team, our drivers and everyone who helped bring everything together. We look forward to seeing you all at the mountain again next year. Thanks to Darin Mandy from Digital Realism for the great shots.